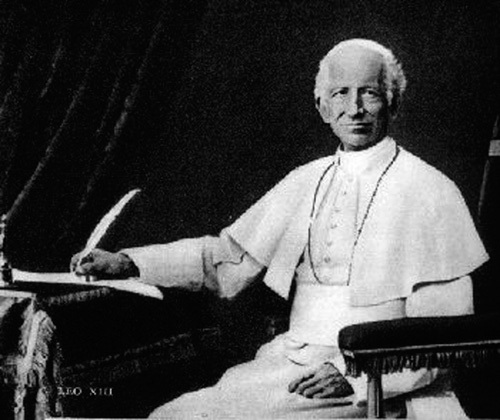 Concessum (Sept. 17, 1882), in which Pope Leo XIII had recently glorified St.
possible number of souls to the practice of these virtues. to be a new appraisal of the vocation to the Secular Franciscans with the encouragement to join! You may be wondering why I am asking you to send up some prayers for the Conventual Franciscans. This week two east coast Conventual Franciscan provinces are meeting in a provincial chapter to discuss matters pertaining to their life as Franciscans. A chapter meets every four years. This week the two provinces on the east coast of the USA are deciding by vote the merger of their provinces, no insignificant matter. May the Holy Spirit guide and protect the discussions! 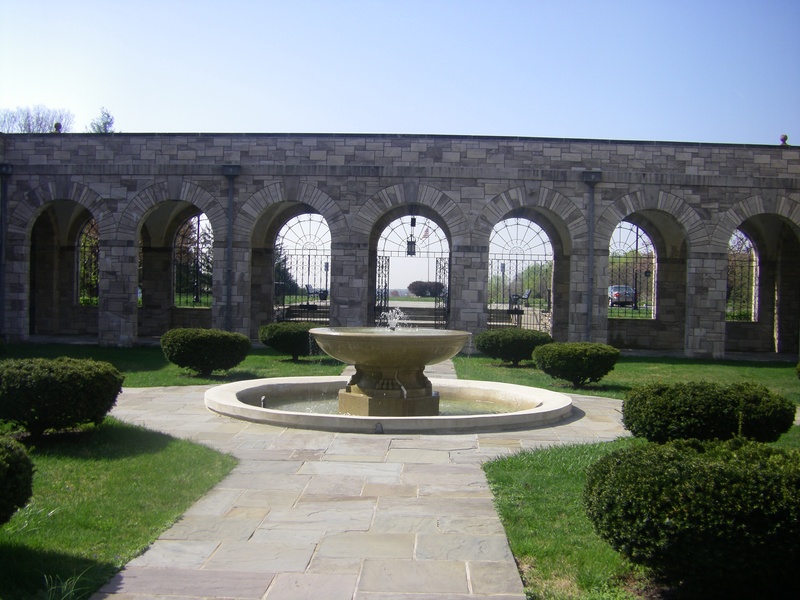 The Conventual Franciscans arrived in the USA in the 19th century to work with the German and then Polish immigrant peoples You can read more their history here The Conventual Franciscans History.pdf. Fast forwarding through particular histories, about four years ago, the then Minister Provincial Father Canice Connors introduced the idea of merging the two east coast provinces, Immaculate Conception and Saint Anthony of Padua, into one; each province has about 100 men in each so we’re not talking about hugh numbers of men coming together like, for example, what the Jesuits are doing at the moment (they’re moving 10 provinces into 5). 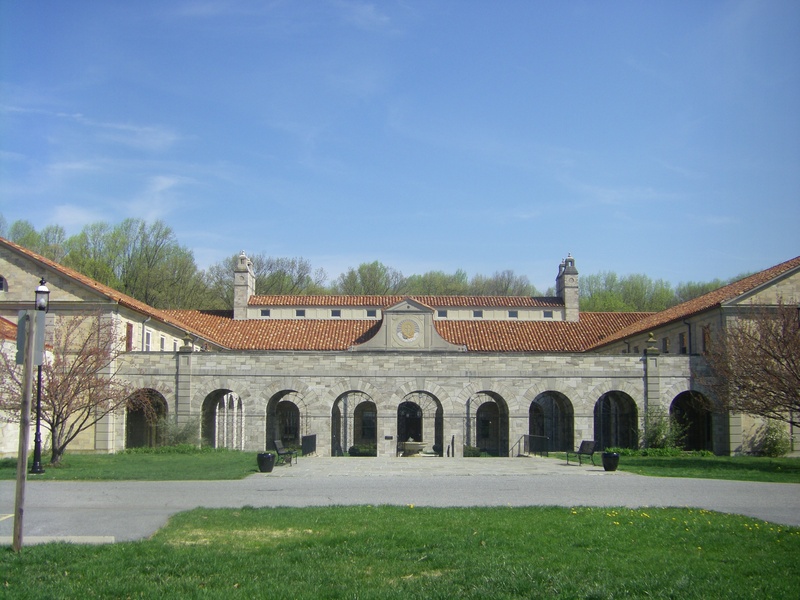 This merger will change the face of Conventual Franciscan life in the friaries and in the many dioceses where the friars serve in the East, especially in some New York and Connecticut dioceses. You can also follow developments of the world-wide Conventual Franciscan movement on their website. The witness of of the Franciscans is necessary for us today and we ought to sustain them by prayer and fraternal relations in their deliberations, today and in the days/years to come. As Pope Benedict mentioned in his Regina Caeli address of April 5, we need to be heralds to the world of God the Father’s great plan for the restoration of man: of God’s love for man and woman, our resurrection with Christ in glory. 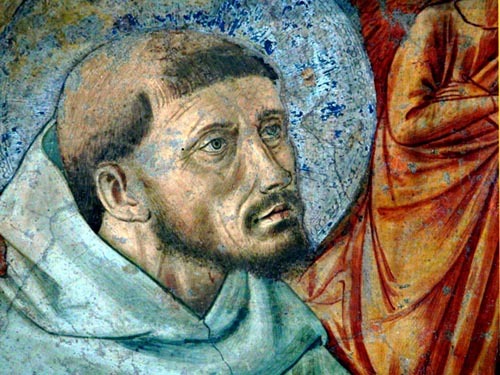 In baptism all Christian people are called to announce and to live the divine love; the charism passed down to us from Saint Francis through the Conventuals ought to do the same. greater have been promised us. let us aspire to the latter. Brethren, while we have time, let us do good. May the Immaculate Virgin Mother of God, Saint Joseph, Saints Francis and Clare of Assisi, Saints Anthony of Padua and Maximilian Mary Kolbe, pray for a favorable outcome of this week’s chapter. Easter week is time for spring break this year, especially after a very busy Holy Week schedule. And getting away from the ordinary was required. 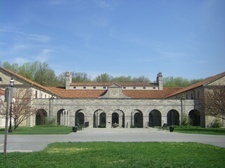 Like all graduate students on break, I went to visit friends at a Conventual Franciscan friary in Maryland. 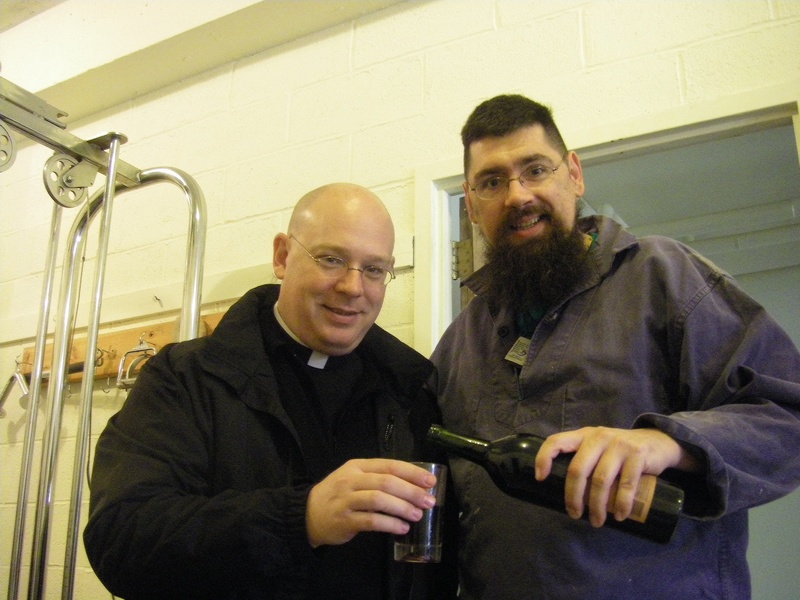 One of my friends there is Friar Brad, the Father Guardian (and formation director) of the student brothers and postulants. My other friend Friar Gabriel who’s originally from the New Haven, CT area and preparing to profess vows and to follow more intensely the Franciscan way of life. 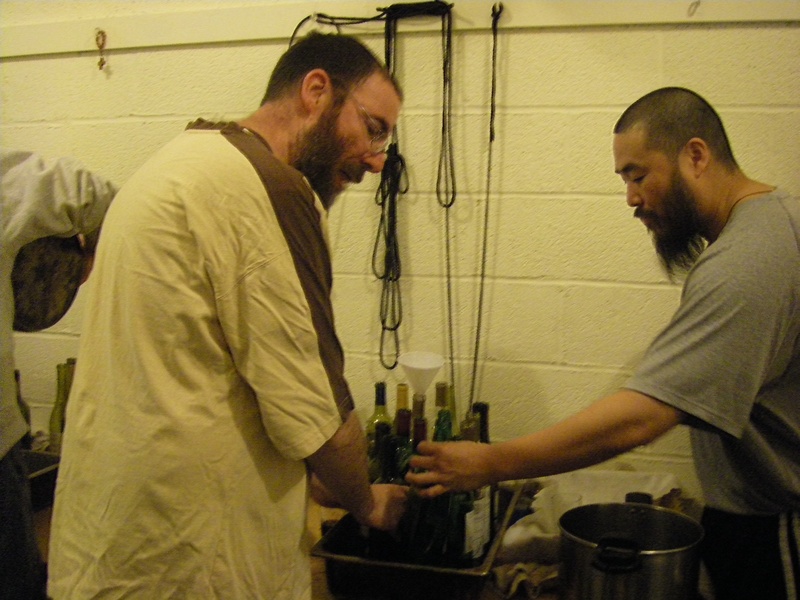 Besides preparing for priesthood, Gabriel and I share a number of common things in life; the important part of the visit was seeing him in situ and understanding his religious life as a Conventual friar (the group first founded by St Francis of Assisi). Being among the friars was restful and delightful. I wasn’t there too long but I did get to Washington, DC, Georgetown, WTU and the Shrine of St Anthony, Ellicott City, Maryland. Sadly, the cherry blossoms were gone by the time I bounced on the scene. A ministry of the Conventual Franciscan Friars, the Shrine of St Anthony is a place of welcome of pilgrims come from far and near for a period of prayer. 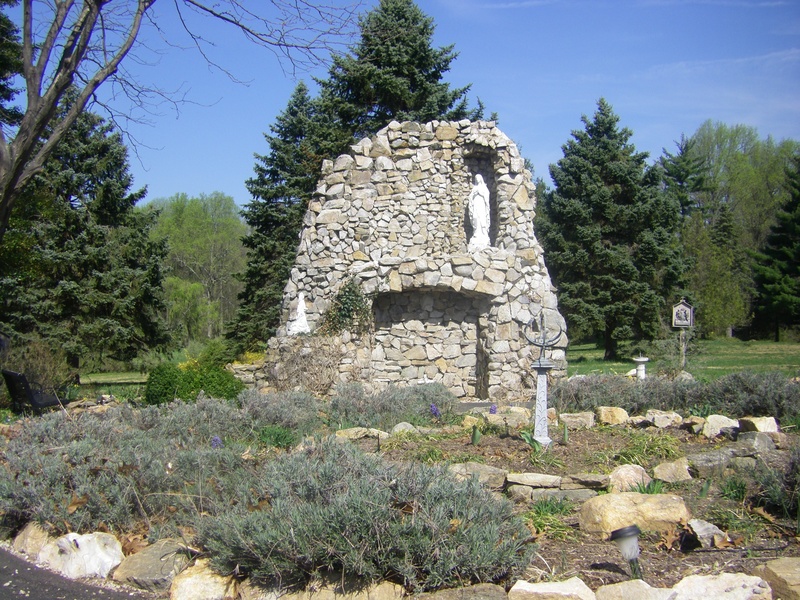 The Shrine is located in the farmlands of Howard County in the Archdiocese of Baltimore. Situated on about 200 acres, you know you are in farmland by sight and scent: the working farms dot the landscape. 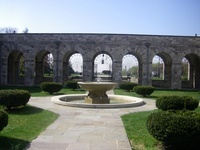 As good stewards of the land, the friars rent a good portion of the land to the University of Maryland for their learning. Architecturely the shrine will remind you immediately of Tuscan architecture with the tile roof, gardens, stone and wood work. I had an immediate sense of home. The friar’s chapel has an exquisitely carved set of choir stalls. As a spiritual “program” the friars provide a horizon for reconciliation, healing, spiritual direction, meditation and contemplation. Outdoor shrines are dedicated to the Blessed Virgin Mary, Saint Maximillian Kolbe and the Way of the Cross all which capture the theological imagination and propel the retreatant or causal visitor to work on holiness. The shrine chapel staff provides a regular schedule of the Mass, confession, adoration of the Blessed Sacrament and Vespers. There’s also Tuesday’s Novena of St Anthony and 3 healing Masses a month. 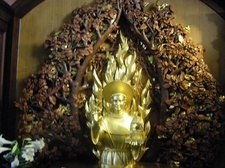 On the 800th anniversary of St Anthony’s birth the friars received a gift of a reliquary of St Anthony from the Italian province of Conventual Franciscans enthroned in a walnut-tree house. 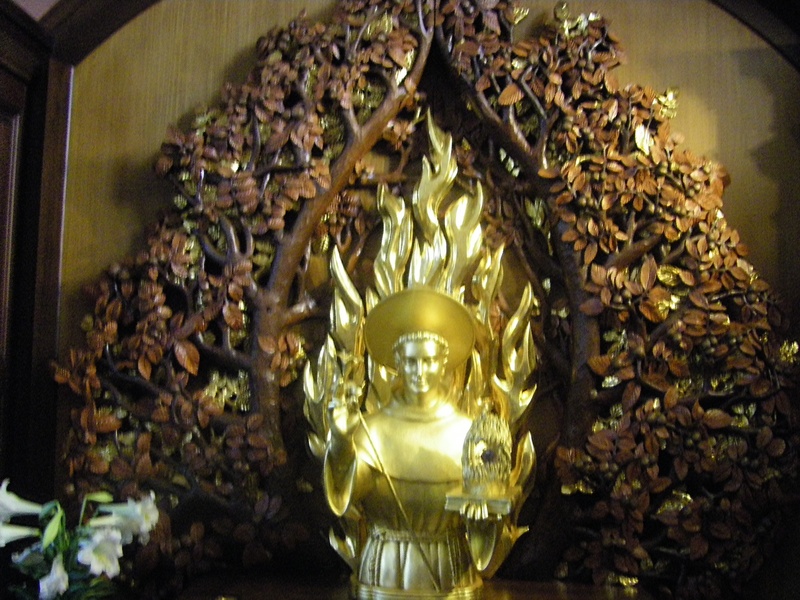 Historically St Anthony lived and preached in a walnut tree house. second year for Our Lady of Cana wines. Perhaps this may be a new franchise for the friars!!! 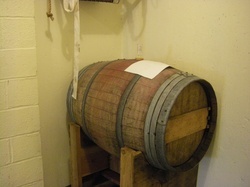 I’m looking forward to a 3rd year of winemaking. 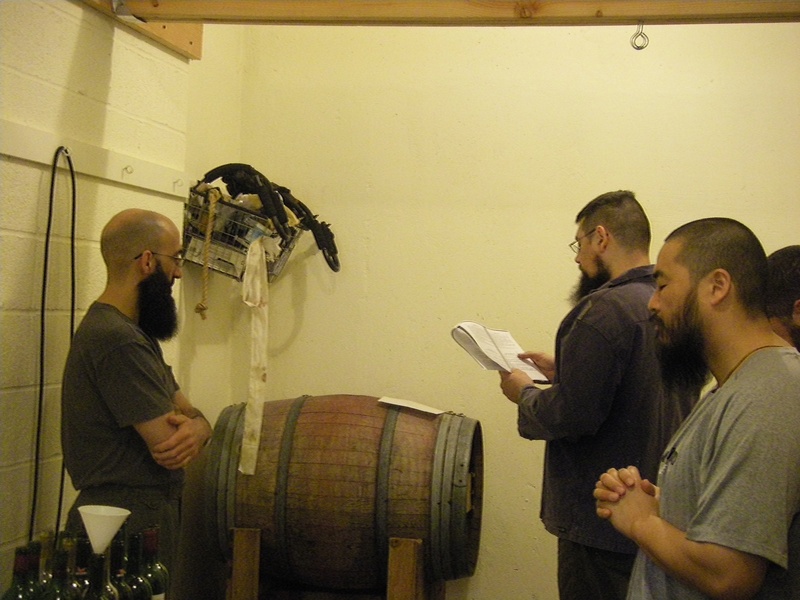 AND I am willing to be the wine-quality control guy. 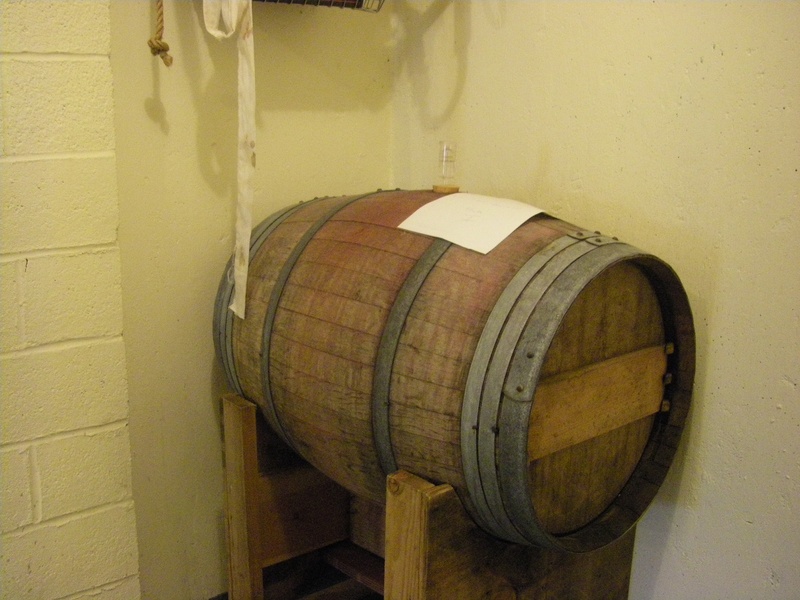 wine now sufficiently mature, today was the time to bottle. great bread, cheese and soppressata. 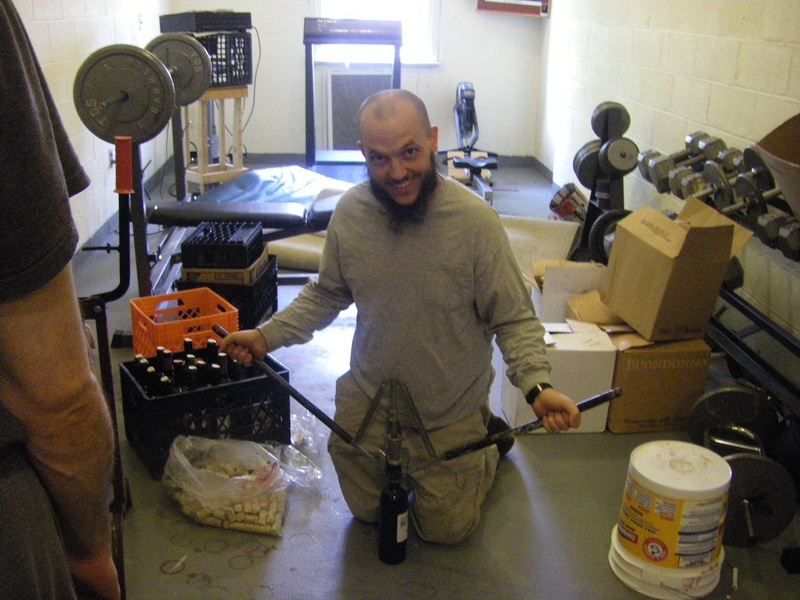 We had great fun bottling nearly 275 bottles of wine. James, I hear, has a case of wine for his first Mass in May! AND this event was SO Catholic! That trust in thee, my God. V. Send them aid, O Lord, from heaven. V. Let the enemy be powerless over them. of evil do nothing to harm them. V. And should they drink anything deadly. May it not hurt them. prosper him on the way, that his journey may come to a happy termination. soul and body. Who lives and reigns forever. 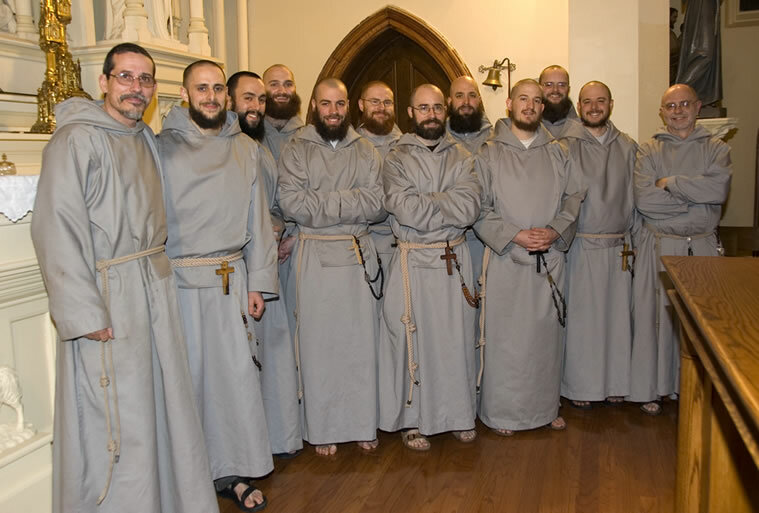 Great news echoes in the heavenly courts: 16 Franciscan Friars of the Renewal novices professed temporary vows (poverty, chastity and obedience) today at Saint Antoninus Church (Newark, NJ). Newly elected Community Servant (Fr. Provincial) Father Mariusz Koch received the vows. A reception followed at the novitiate of the Most Blessed Sacrament Friary also in Newark, NJ. Bishop Emmanuel Cruz, auxiliary bishop of the Archdiocese of Newark was present. Here are some pics of the community. Br Frantisek Marie Chloupek, Br Vittorio Maria Pesce, Br Jude Thaddeus Boyden, Br. Tobias Marie Redfield, Br Simeon Mary Lewis, Fr. Maximillian Mary McGoldrick, Br Seamus Mary Laracy, Br Mark-Mary Maximilian Ames, Br Angelus Immaculata Montgomery, Fr Felipe Immaculee Casadia. 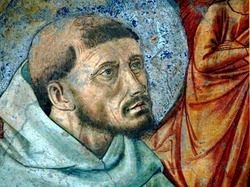 May Saints Francis and Clare bless the new friars abundantly!